This is a rare opportunity to buy a fully kitted out Bowman 45 from the design board of Chuck Paine. There were only a few of the 45’s built and this one from 1997 has the addition of a hard-top to add to the comfort and usability of what is widely recognised as an outstanding long distance cruiser. She was specified from new by these owners to be a long distance cruiser, with good insulation in the hull, a large guest cabin, a watertight bulkhead door forward and heating throughout. 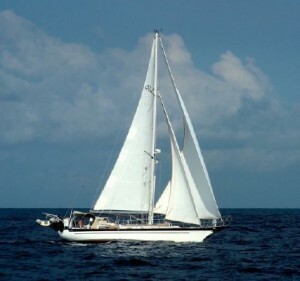 She has taken her owners around the world since 1997 and is now looking for someone new to keep her adventure going. A once in a lifetime opportunity to acquire the 27 meter Bill Tripp designed, state of the art super-passagemaker ‘Shaman’; A yacht which is respected throughout the yachting community with her pre preg carbon composite hull, deck and superstructure, carbon mast, carbon boom and fully retractible bow pole, lifting keel and touch screen controlled water ballast. An exceptional Andrew Winch designed veneer on honeycomb interior complements the high quality weight saving philosophy employed throughout her, even the Jacuzzi is carbon fibre! Benefiting from a One million Euro refit carefully carried out over the last 24 months ‘Shaman’ is ready for extended cruising. Designed first as a ‘sailing’ yacht dictated to the balance of two important factors to maximize performance, speed and ease the sail handling. A strong, light construction system utilizing advanced materials and techniques was used to keep the displacement to a minimum. 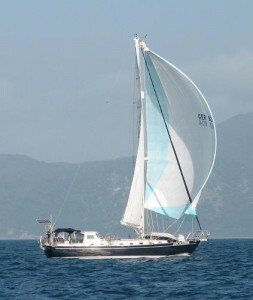 In addition to her modern hull shape, features such as a carbon fiber rig, retractable spinnaker pole, water ballast and hydraulically lifting keel are incorporated into the design. These features allow for high stability giving greater sailing comfort. The retracting keel allows access to shallow waters without sacrificing the sailing characteristics. The hull shape was developed with long waterlines, high stability and low pitching moments for increased speed. The high stability comes partly from the hull shape and partly from the large bulb keel and water ballast. The layout on deck incorporates a working cockpit aft with twin wheels, winches and all sail controls. This allows all sailing activities to be located in this area keeping the rest of the deck free. The mainsheet is sheeted to an arch that allows free movement underneath, and structure for a sailing awning. The central cockpit interacts with the pilothouse, and has protected seating for eight to ten guests around the table. The pilothouse offers full shelter from the elements yet also offers full visibility for the navigator and the adjacent seating area. The pilothouse is low in profile adding to the sleek look of the boat, it is also the focal point of the boat being the main passageway to below decks. The raised pilothouse creates space underneath a full engine room, with main engine, generator and all systems enclosed. 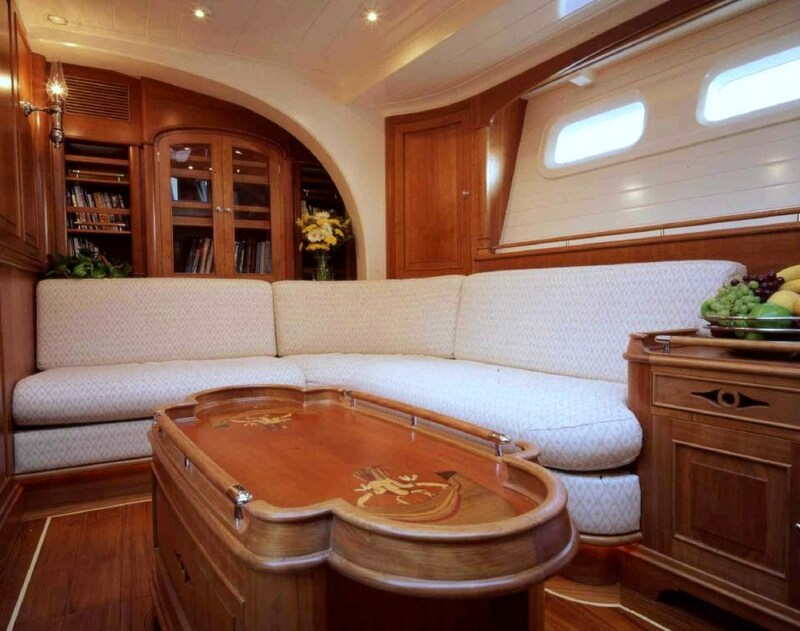 The pilothouse extends over the salon to draw the area into the upper areas of the boat. Forward of the pilothouse are the galley, salon, crew and guest cabins. Aft are the Owners cabin, recreation room/guest cabin, office and laundry room. The recreation room is easily converted into a bunk room for children. The carbon boom is contoured to catch and contain the fully battened main when it is dropped or reefed. The boom is wide but tapered in width and depth, and it has a trough but is flat enough to walk on. The sail cover is in two halves that attach to the boom edges so that when the sail is lowered between the lazy jacks it falls into the trough and the sail cover easily zips over the sail. The foretriangle has twin headstays mounted one behind the other. The forward stay has a 130% genoa on a furler that is used for reaching, passage making, and upwind to 15 knots true. 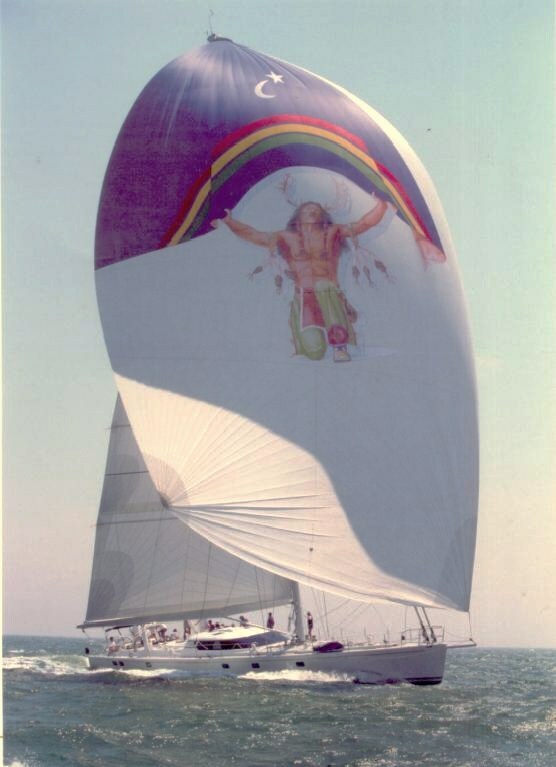 The after stay, two feet back, has a 95% jib for efficient upwind sailing that is safer and easier to tack and may be carried well up the breeze range.